In an interview with @AlRiyadh daily, I discussed the "deep and old influence the Muslim Brotherhood has in the US from campuses to foreign policy, and how #Qatar harvested decades of Ikhwan academic and media build up in America." Translated from Arabic. Below is a short piece I wrote based on my interview that summarizes its main points. 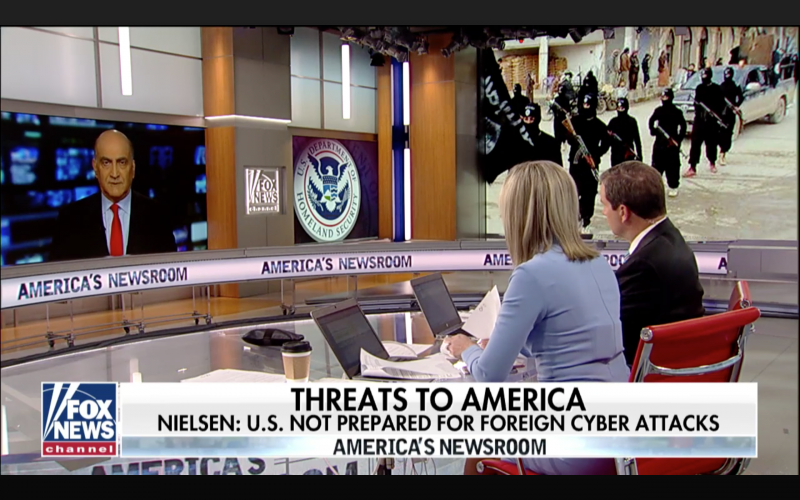 On "America's Newsroom" assessing the threat of foreign cyber attacks, a threat raised by Secretary Nielsen in the State of Homeland Security address. Watch the interview at the link below. 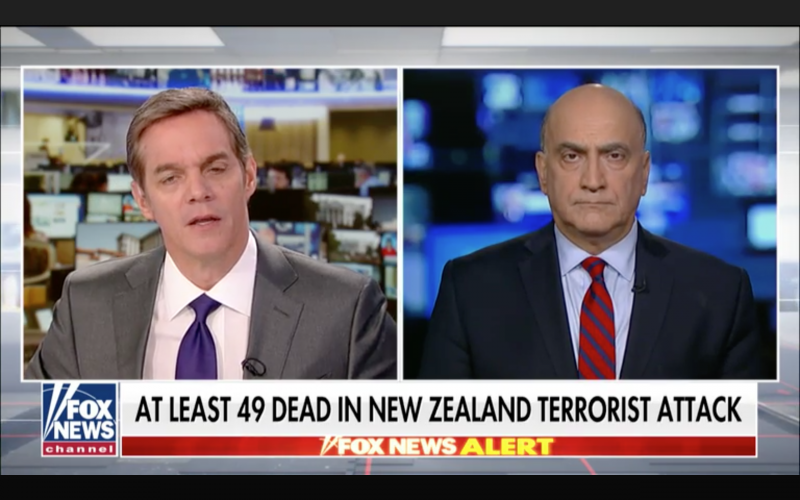 Discussing the New Zealand terror attack, a successful attack of pure evil. Watch my full interview on 'America's Newsroom' below. China's actions in the cyber realm have become a major problem for the United States and reports of cyber attacks are abundant and widening. At this point, an examination of the big picture is needed, in addition to examining the issue on a case by case basis. First, why is China doing this and what can be done to stop it on a strategic level? John Hajjar: "Walid Phares Credentials for a UN Job are Rock Solid"
"Returning Syrian liberated territories from ISIS to local security forces"
"President Trump should support Iranians opposing their brutal government"
Phares on "The Lost Spring" at the Gatestone Institute in New York: "Against the will of a majority of Americans, the Administration chose the Muslim Brotherhood and Iran's regime over Middle East civil soceties during the uprisings"
Al Jazeera review of "Du Printemps Arabe a l'Automne Islamiste"
James Rosen Op Ed in Fox on Walid Phares' "Lost Spring"
Phares to Voice of America: "A new Egypt is emerging, pushing back against the Jihadists, pushing for democracy and pluralism, gradually"
Phares to USAToday: "Despite terror massacres Tunisians turning greater on Jihadists"
Phares to Fox.com: "The Islamic State and al Qaeda are on a global race to hit anyone anywhere, over world Jihad leadership"
Phares to Brian Kilmeade on Fox radio: "Taking back Ramadi is good if pro-Iranians do not seize it"
Phares to Fox BC: "The Bamako terror attack is part of the global Jihadi campaign"
Phares to Chicago's AM 560: "Iran is blocking Obama from seeking Arab Sunni armies to dislantle ISIS"
Phares on 97.1 FM Talk: "The reasons of failures in Syria and Iraq is the Iran Deal"
Phares at a Ramadan Iftar in Washington DC: "Education is the key to reforming human behavior, and the world"
Phares at American Pulse panel: "Genocides and ethnic cleansings are organized by a force, legitimized by an ideology"
Phares lecture at Heritage on "Global Islamism and Jihadism"
Phares answers to Foreign Affairs Committee in US House on "Defeating ISIS Hearing"
WALID PHARES: "EL MUNDO QUE VIENE"
Walid Phares: "La Turqu�a de Erdogan no es el modelo a seguir"
Walid Phares in el Mundo de Madrid: "Los Hermanos Musulmanes tienen la clara"
Phares a la VOA: "Une alliance militaire Arabe appuyee par l'Occident et a Russie doit liberer Mosul et Raqqa"
Phares a France 24 (Part II): "L'iran transperse toutes les lignes rouges du Yemen, a l'Arabie au Levant"
Phares in al Nahar: "Washington stands by Lebanon against Iranian pressures"
Phares to Elaph: "US-Russian ceasefire in Syria should cover the south west too"
Phares to al Hadath: "The US, Europe and Arab Coalition to put sanctions on Iran and Hezbollah?" Phares to Iraq Hur: "This US Congress will oppose the Washington deal with the Iranian regime, next Congress may collapse the deal"
FAU ten years later: "Professor Walid Phares, an educational kind of magic"
Phares interview in Czech Aktualne: "Ne�lo o n�hodn� �nos, �ekl o �e�k�ch expert na d�ih�d"
Phares to Russian Rosbalt Magazine: "al Qaeda wants Islamist states, with or without Mideast uprisings"
Walid Phares interview in Polish Policy Journal Nowe Panstwo "IHAD JAK JOGA"
Phares to Slovak News Agency: "Eur�psku verejnos� treba nau�i� rozli�ova� medzi islamom a ideol�giou"
Von Walid Phares: "Eine echte Wahl f�r Syrien"
KONKRET fragte Walid Phares: "Was wollten die Terroristen von Mumbai?" 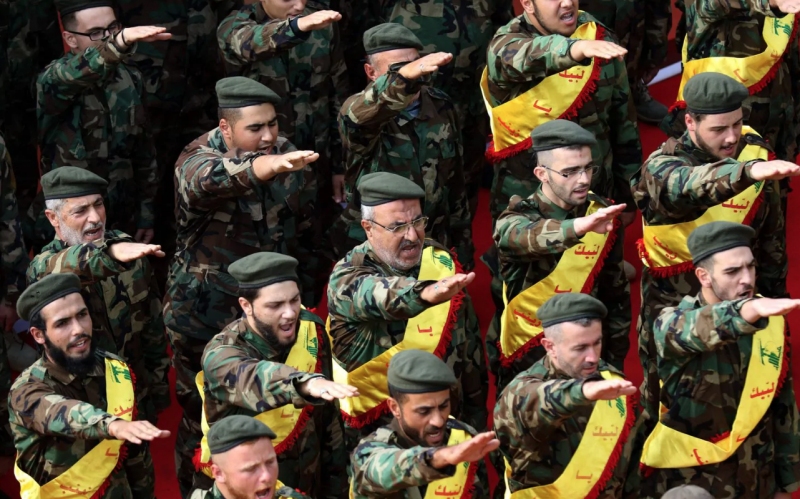 Phares to Correop Braziliense: "Jihadists in the Arab spring wants emirates not liberal democracies"
Phares in Correio Braziliense: "O Talib� vai resistir at� essa data para retomar o controle do Afghanistan"
Op Ed In the Italian Newspaper L'Occidentale: "La questione pi� urgente di Obama"
Phares to VOA Kurdish Service: "Current Peace discussions are at the mercy of Iranian threats"
Phares on VOA Kurdish Program: "President Obama must address high importance issues in the Muslim world: human rights, women, minorities, genocides, democracy and Terrorism"
Phares to Week Life in China: "Hezbollah has penetrated all communities but Lebanon's majority rejects it"
Phares to Iraq Hurr: "Romney has alternatives to Obama's policies in the region"
Phares on SkyNews Arabic: "Killing Bin Laden is not winning in Afghanistan"
Phares on Breibart: "We need to partner with civil societies in the Middle East and consolidate alliances"
CNN Arabic quotes Phares: "A Donald Trump Administration will surprise the region's peoples with a positive message of peace, security, and prosperity, so much needed"